For February's edition of ON THE LOW we wanted to continue to push the element of live performance with two dynamic acts that have been taking their artistry to the next level. Multi-faceted creatives, KHENNEDY & J. ISAAK both sing and rap, and effortlessly control the stage with their untouchable energy. On the decks we have Stubbs bringing the deeper sounds that we all love, as well as Noah B - a downtempo DJ who pushes the emerging "UK Wave Movement" that takes cues from modern hip-hop, trap, and drill. For our 3rd installment we're switching things up to highlight the eclectic sounds of New York City. Stoopkid is the alias of resident producer, Oskuro. His Fuzzy Slippers Vol. 1 release will showcase the classic sound of Jazz and Hip Hop fusion. To kick off the release, we've invited out some of the most talented local producers in hip hop. Supporting acts: Kumbaya, Gengis Don, Roland Cespedes and our special guest vocalist, Mimo. Saturday, August 11th marks the first installment of THE MOVE: A collaborative dance party between two dynamic collectives in NYC.Midnight Dreams Collective & EARTHTONE have joined forces to bring the creative community together for a night of fresh tunes, bass heavy rhythms, and an eclectic showcase that sheds light on each crews unique styles. Come connect, party, and most importantly, dance. 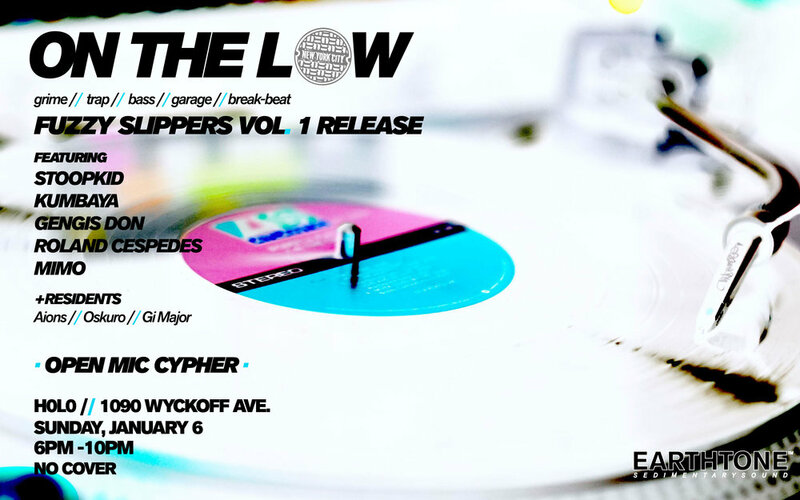 "The Move" features diverse sets from some of NYC's most passionate, local Producers, DJ's, and Emcee's. Capybara is equipped with a full bar and late night vegan menu so you don't have to stray too far from the dance floor. Free entry to all attendees with RSVP. EARTHTONE will be providing the sounds for PUSHA T's official afterparty. Hitting a variety of spectrums in hip-hop, bass music, grime, and garage, Oskuro, Aions, and Gi Major will be blessing the stage from 11pm til late. As 2018 approaches we thought it was the perfect time to bring the NYC underground together for a true family affair. 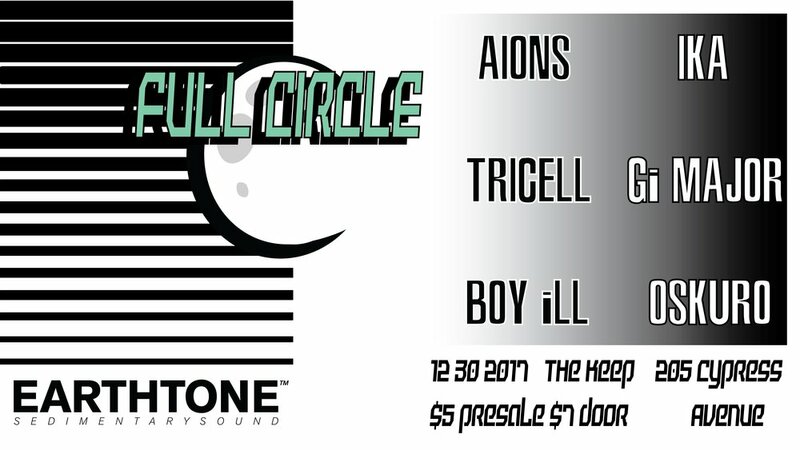 FULL CIRCLE is a community gathering featuring EARTHTONE residents and made possible by all of our undying supporters that have stuck by our side for the past 3 years. Join us at an intimate venue with proper sound and an eclectic selection of music as we bring in the new year a day early, but never a day late. With Halloween approaching, the EARTHTONE family couldn’t be more excited to invite everyone out for the launch of Gi Major’s newest, and darkest project to date, the “Giggle” EP. Featuring high-energy, bass-driven productions, this cross-genre EP is a testament to Gi’s various inspirations and lack of constraints as a hip-hop artist and MC. 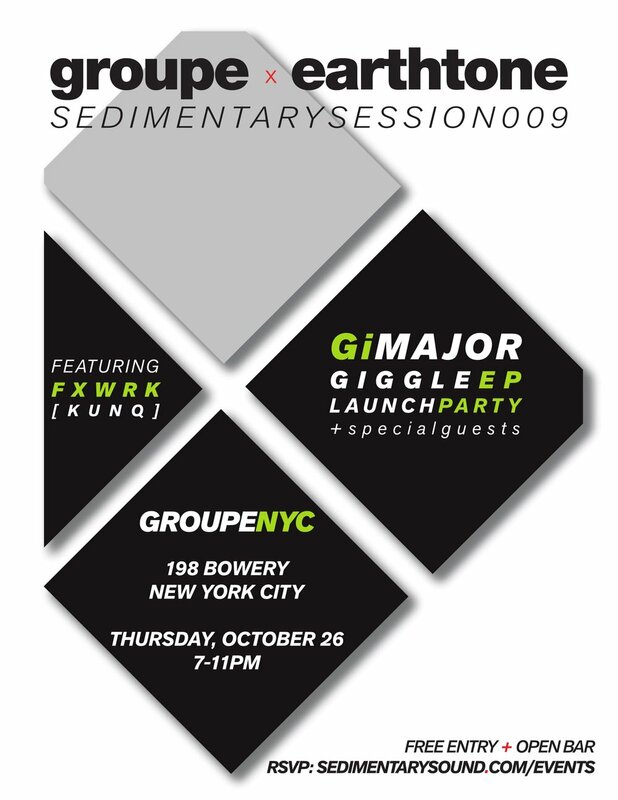 Setting off the night, Sedimentary Session 009 will feature KUNQ’s own, FXWRK. FXWRK is a DJ/Producer who has been making #majormoves in the industry, most recently with her contributions to SISTER, an international collective of women & non-binary artists striving to remedy inequality in the music scene. SS009 will be fully equipped for October’s festivities with deep soundscapes, live body painting, and special guest performances from some of the most talented artists across the way. [Block Party] A night of classic hip-hop & house music from Boy iLL & Friends. Strictly vinyl - reppin the sounds that makes this city so special. Please welcome NY's newest open air event: Down to Earth Music Festival! The concept behind DTE is leaving behind materialism, pretentiousness and harmful attitude, while kicking back and listening to like-minded music in a laid back environment. No VIP, no preferred treatment; a place where everyone can feel equal to one another, and share untroubled time together.